WHAT SHOULD I EXPECT FROM MY CABIN? WILL THERE BE A DAILY SCHEDULE? WHAT ABOUT KEEPING IN TOUCH? WHAT SHOULD I EXPECT FROM THE CREW? SHOULD I PLAN FOR EXTRA EXPENSES? CAN I BRING NON-DIVING GUESTS WITH ME? WHAT ABOUT KIDS? 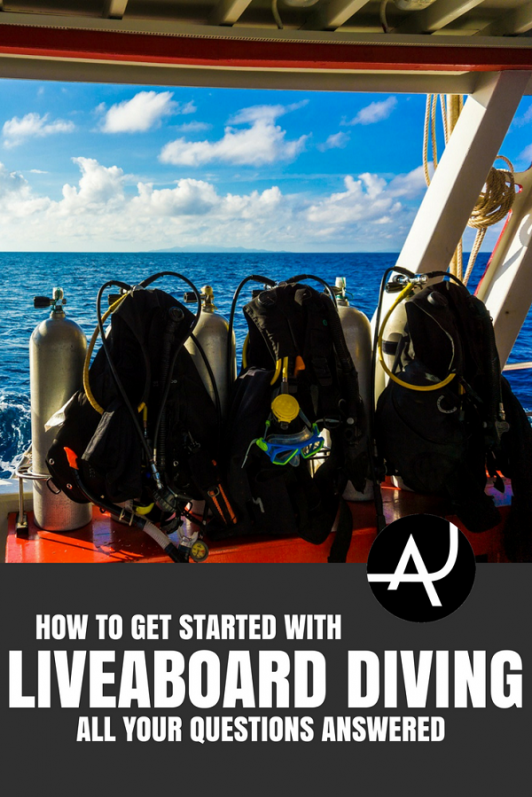 Are you shopping for your first liveaboard dive trip and don’t know where to begin? 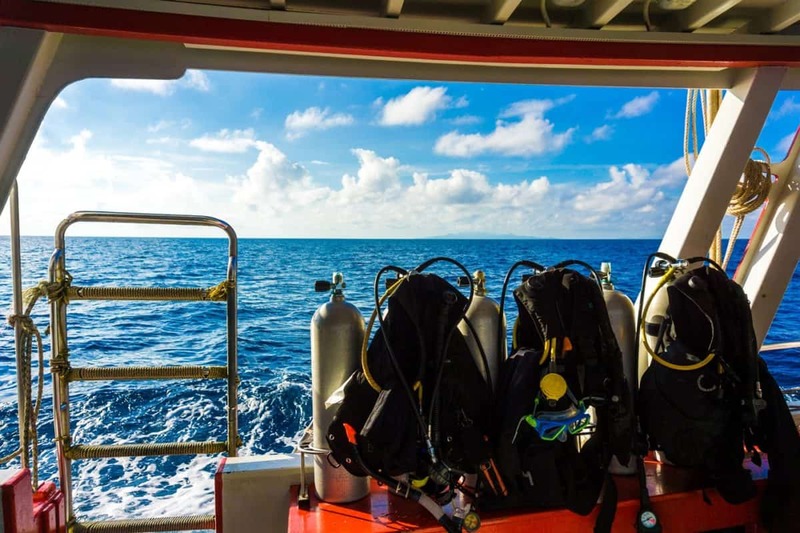 Here at The Adventure Junkies, we’ll answer your burning questions and deliver our top tips on how to get started with liveaboard diving today. 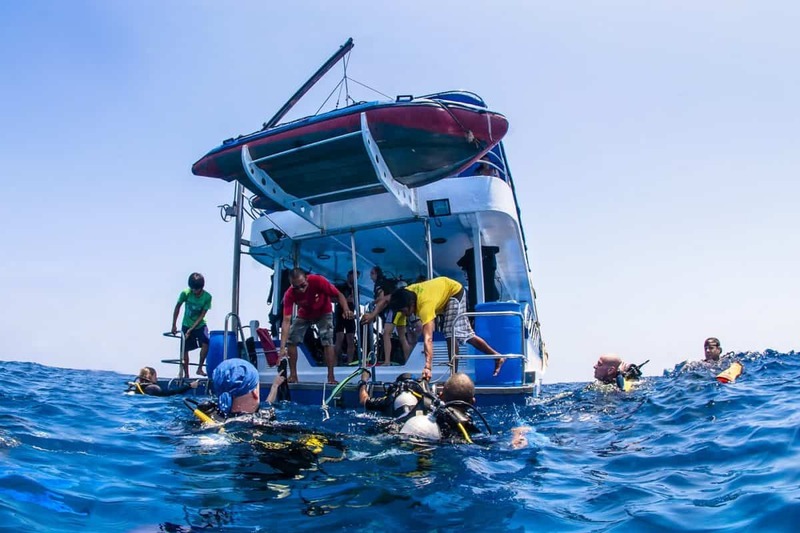 Onboard safaris are a great option for vacation divers hoping to maximize their time underwater. But, with hundreds of tempting itineraries available worldwide, it can be hard to know what to choose. Even the most experienced scuba divers face new challenges when booking a liveaboard. If you are wondering where to go, how much to spend or whether you have what it takes to spend a week at sea, then you’ve come to the right place. Our helpful guide will answer these frequently asked questions and get you started planning your first trip. Whether you have enough scuba diving experience depends on where you are going and your goals for the trip. It is advisable to carry an advanced open water certification or its equivalent at the least. This way, you won’t feel left out of night dives or profiles deeper than 60 feet. If you are planning to visit cold water, caverns, shipwrecks or any other challenging environment, be sure to complete the appropriate specialty course before your vacation. Remember, your level of experience is not only about your certification. The number of dives that you have completed plays an important role as well. You will get way more value out of each tank if you are comfortable in the water. If you are not able to control your buoyancy and dive safely, you won’t enjoy yourself. A responsible liveaboard operator won’t let you dive without these skills, regardless of your certification. Of course, you can book a liveaboard by yourself but you should ask some extra questions before reserving. Some operators charge a single supplement to cover the cost of your room. Others may ask you to share a cabin. Remember that you cannot dive without a buddy unless certified to do so, and solo scuba divers will most likely be assigned a partner once onboard. 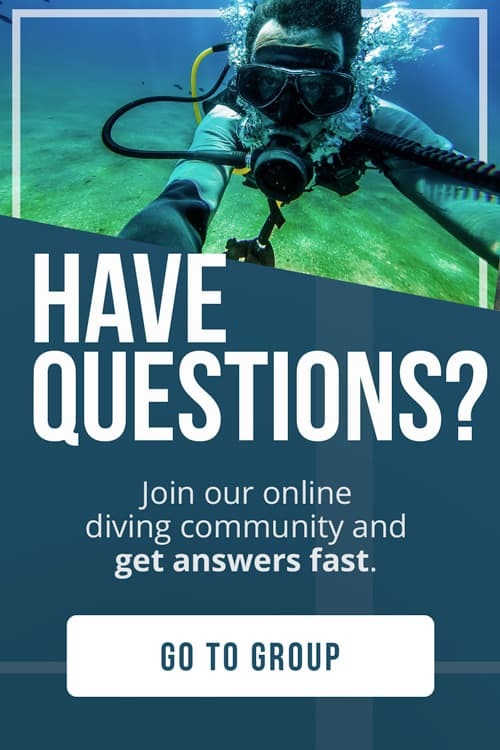 If you’d rather not leave it to chance, social media can be a great place to meet dive buddies. Some boats cater primarily to solo travelers and create a mix-and-mingle atmosphere which is perfect for meeting new people. The experts at Diviac.com put together a helpful list of the best liveaboards for single travelers. That depends on your budget. Some of the most affordable options offer no-frills bunk beds with shared bathrooms or dorm style accommodations with many roommates. Most mid-range boats provide a few extra perks like air conditioning and en suite facilities. If you are booking a luxury liveaboard, you can expect a much higher standard for your cabin. High-end amenities like king-sized beds, televisions and private balconies may be available. You should always have a look through photographs of your chosen vessel, and pay close attention to the cabins. It is also a good idea to read online reviews to see what other scuba divers think about the accommodations. When booking, get as much information as possible about your cabin. Be sure to confirm bed style, the number of guests and whether you will be sharing a bathroom with other guests. Most boats serve a combination of local and western cuisine. You can expect plenty of free, hydrating beverages throughout the day, as well as some snacks between meals. Budget-friendly boats serve food buffet or family style, while more expensive vessels offer à la carte dining. Keep in mind that not all dietary requirements are possible to accommodate in remote areas. Try to limit your requests to religious needs, food allergies and similar situations. If you are vegan, gluten intolerant, or extremely picky, you might need to pack supplemental food. Many countries are not familiar with these diets and do not have access to specialty food items. Only the most expensive “all inclusive” liveaboards provide free alcohol. Some boats may allow you to bring your own onboard, but make sure to research this in advance. Remember that some countries restrict the import and possession of alcohol. It is important to keep safety in mind as well. Drinking and scuba diving don’t mix, and you should use caution and moderation while on a scuba vacation. The most important thing you can pack on a liveaboard is your equipment. Even if you don’t have a complete set, bring what you are comfortable using. Rentals can become uncomfortable if they do not fit properly, and you may have no opportunity to swap them out once at sea. If you are a photographer, bring any additional gear you might need. Extra batteries, cables, silica gel packs, o-rings and silicon grease may not be available onboard. You should also bring comfortable and appropriate clothing to wear on the boat. Your needs will depend on the climate, and what region you are visiting. Remember that foreign cultures are often more conservative than our own, and pack at least one modest outfit. It’s important to pack any toiletries that you might need, especially sun care. Some items will not be available in other countries, especially more remote destinations. Bring plenty of over-the-counter medicine even if you don’t plan to use it. Motion sickness tablets, pain killers, antihistamines and anti-diarrhea medication can all be trip savers for you and your fellow passengers. Still not sure what you need? Pack light and use common sense. 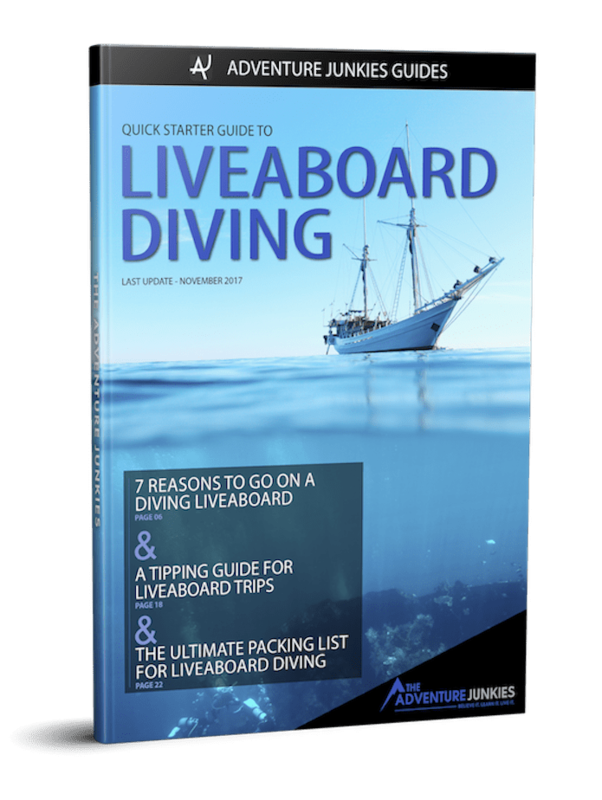 For even more tips, check out our dive travel packing list. Liveaboard diving days begin and end with the sun. It’s common to have your first dive of the day as early as 8 AM. With three to five tanks per day, including a night dive, you might not finish until well after dusk. Your daily itinerary will depend on the group’s dive profiles and energy level. You are not required to complete every immersion, but do maximize your time in the water when possible. Allow yourself plenty of snacks and naps between activities to keep yourself feeling energized. On the first day of your trip, you will receive an orientation and rough schedule. It is important for you to be on time throughout the safari, as the entire group may be stuck waiting for you. For some divers, the best part of a liveaboard trip is putting down their smartphone for a few days. If possible, take the time to unplug. Many boats offer wireless internet for a fee, but it is often unreliable. You may have some service, but it will most likely be too sporadic to rely on for work purposes. The occasional Facebook post or email might make it through, but who needs that stuff anyway? If your lifestyle permits it, consider taking a break from technology. Socialize with the crew and other divers on your safari. 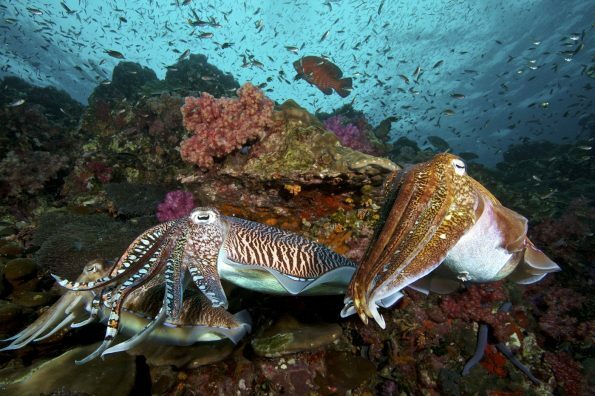 You might meet a new dive buddy, or even make a friend for life. Onboard, the crew is not only in place for your enjoyment but your safety too. Most or all employees will speak English and should have a friendly helpful attitude. Dive guides are usually locals with relevant experience diving in the area. Underwater, you should give them the same respect as any professional. You may also find that they have expert knowledge in photography and fish ID. If you need something, you should always ask the crew for help, follow their instructions, and trust their judgment. If you are not satisfied with your liveaboard experience, be sure to speak up. Finally, remember that these employees work for tips. If you feel that your vacation was exceptional, be sure to reflect that via gratuity. Yes. If possible, join DAN the Divers Alert Network. 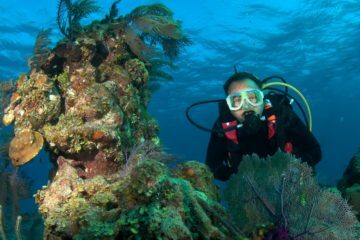 They offer insurance plans for divers traveling in the US and abroad. Helpful bulletins, informative blogs, and members-only benefits are other perks of joining. DAN also conducts dive related research, provides safety training, and offers a 24-hour dive emergency hotline. If you are planning to use standard travelers insurance, be sure to read the fine print. Many of these policies do not cover dive medicine such as treatment in a hyperbaric chamber. They may also have low limits for emergency evacuation or search and rescue efforts. As a scuba diver, you are always responsible for your safety. On the first day of your trip, have a look around the boat and locate fire extinguishers, first aid, emergency oxygen, and flotation devices. It’s also a good idea to familiarize yourself with the onboard emergency action plan. Since many liveaboards operate in the open ocean, safety precautions are even more important. 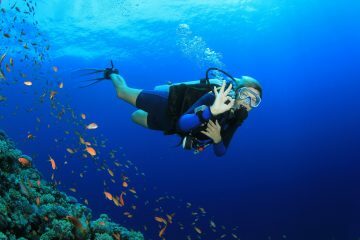 If it’s been a while since your last dive or you can’t remember safe scuba diving practices from your open water course, it might be time for a refresher. Read through our helpful article, What should divers do for their own safety, for more tips. You should always practice the buddy system. In unfamiliar and remote locations, you may need to look out for your partner even more than usual. If you haven’t been diving with a new buddy for a while, give yourself a reminder. Our guide covering all you need to know about the scuba diving buddy system will jog your memory. Some liveaboards may offer other safety features. GPS systems for marine rescues, such as the Nautilus Lifeline, are standard on luxury boats and in isolated locations. Marine radio, emergency lighting, smoke detectors and life rafts are standard features found on even the most budget friendly ships. Whether you are traveling independently or have booked a direct transfer, getting to your port of embarkation can be tricky. Be sure to budget a little extra for travel expenses along the way. Snacks, drinks, tips and souvenirs can add up fast. Extra cash also comes in handy in case of emergency. Some countries do not accept US credit cards and you may not be able to access an ATM in rural or remote destinations. Spare money in both US and foreign currencies will come in handy should an unexpected situation arise. Additional excursions and day trips, such as hiking and kayaking may be available as part of your itinerary for a fee. If you have an interest in activities other than scuba diving, be prepared to pay in cash when you arrive. Local guides rely on tips as a part of their income, so don’t forget a gratuity for good service. Whether non-divers are welcome onboard is dependent on the preference of your dive operator. Many companies will happily charge you to bring an extra passenger along, but there may not be much for them to do while you are in the water. Be sure to find out what activities your guests will have access to if any. When it comes to bringing kids along, be sure to consider their comfort first. There will be very few entertainment sources for them, especially if they are too young to dive. Depending on their experience and comfort level around water, a liveaboard might not be a safe choice for your family trip. Definitely. Liveaboard itineraries range in price from $500 to over $2,000. How much you spend depends on what level of luxury you prefer. 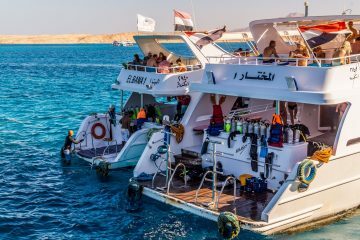 If you dive four or more times per day and don’t spend any extra money on the boat, your safari might even be cheaper than diving from a resort. If you are looking for a bargain, last minute bookings are a great option. Having a flexible travel schedule and standard for comfort will help you get the best price. If you are traveling alone and hoping to save money by sharing a cabin, The Adventure Junkies Facebook community is a great place to look for a roommate.